Frank Sinatra used to sing, “New York, New York! If I can make it there, I can make it anywhere!” – well, it turns out the same is true for dating. Now, as leader of the oldest community lair in the world, New York’s dating coach Marco Bronx finally reveals all the main principals and techniques he used in order to teach students how to date successfully and to become the desirable men they’ve always wanted to be. 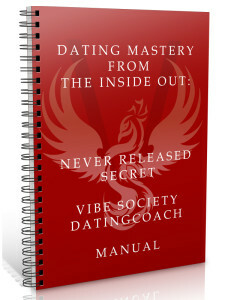 But more importantly, any student can become their own dating coach using this book. The average person will have at least three career changes and ten different jobs by age forty. In this era of down-sizing you can never be sure that your job will still exist in five weeks, let alone five years. So you’d better think of your career as a perpetual job search! 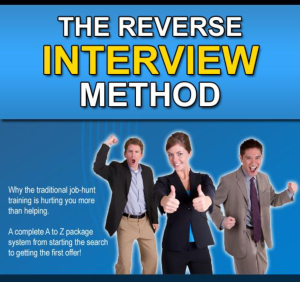 The Reverse Interview Method is an A-Z job search system which will help you improve your confidence, access the hidden job market and empower you to get a job FAST! And yes, many of the psychological methods developed here are based on the foundations of hypnosis and NLP (neuro-linguistic programing). Apart from the other bonuses listed on the website, we‟re now also offering you a workbook, so that you can start practicing IMMEDIATELY all the great things you will learn. Discover how to take control in your interviews and never be subject to questions about your weaknesses again! When you apply these techniques you will SKYROCKET YOUR INTERVIEW SUCCESS!